More Ways Monday: Chartreuse Is Loose! Today's "more ways monday" is focused on the glorious color chartreuse; it's both soultry sounding and a challenging word at a spelling bee (can you use it in a sentence? i can't stop spell-checking it!) Before we begin creating looks around this color, I'm providing a brief history lesson on what this color is, where the name is derived from and why it is uh-mace-sing for anyone. yes, anyone. what is "chartreuse" anyway? according to crayola.com they introduced a chartreuse crayon in 1972. Chartreuse, citron, and citrine are all finding their way into women's closets this season as a bright, cheery, and sophisticated color pop. Where neon was big last year (and always big on truck-stop t-shirts & in spring break infested cities), chartreuse is turning heads and keeping it classy. 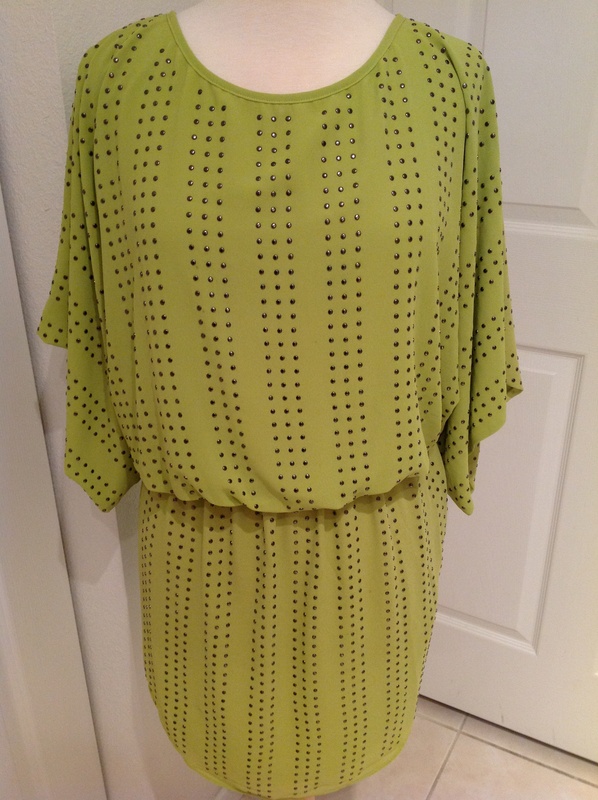 The outfit inspirations I'm showing are more on they "lemony" side of chartreuse and all feature the same gorgeous cinch-waist dress, from splendid, with six ways to wear it. 1. 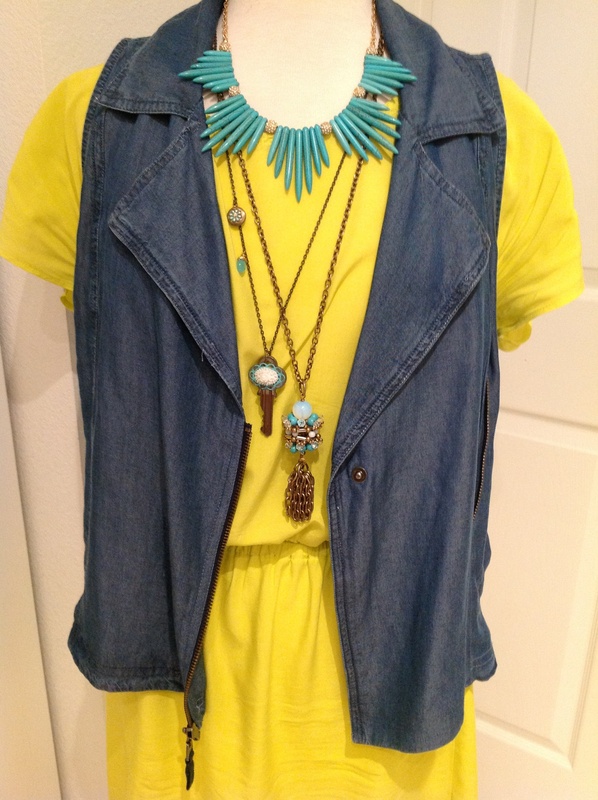 Blues and bronzes look great with chartreuse, keeping the warmth of the yellow undertones both calm and cool. 2. 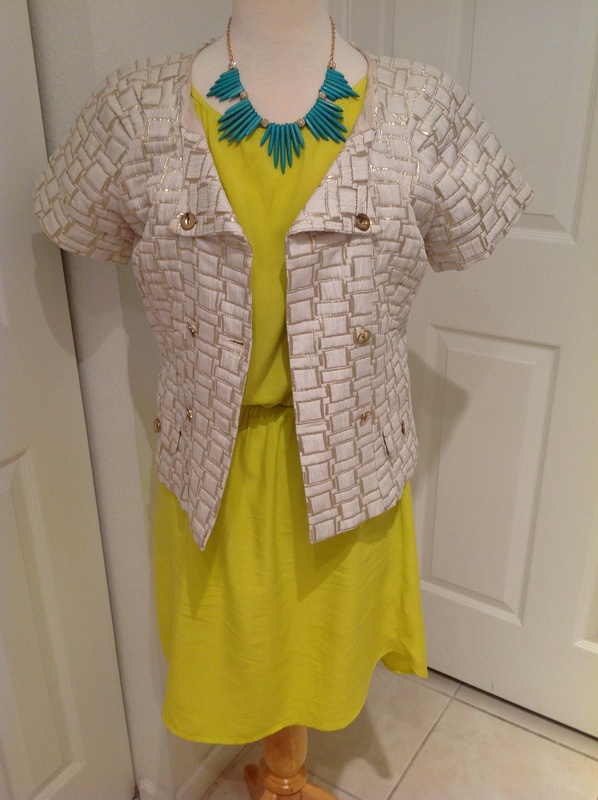 Cream and gold are feminine touches to chartreuse. I added turquoise for a punch! 3. 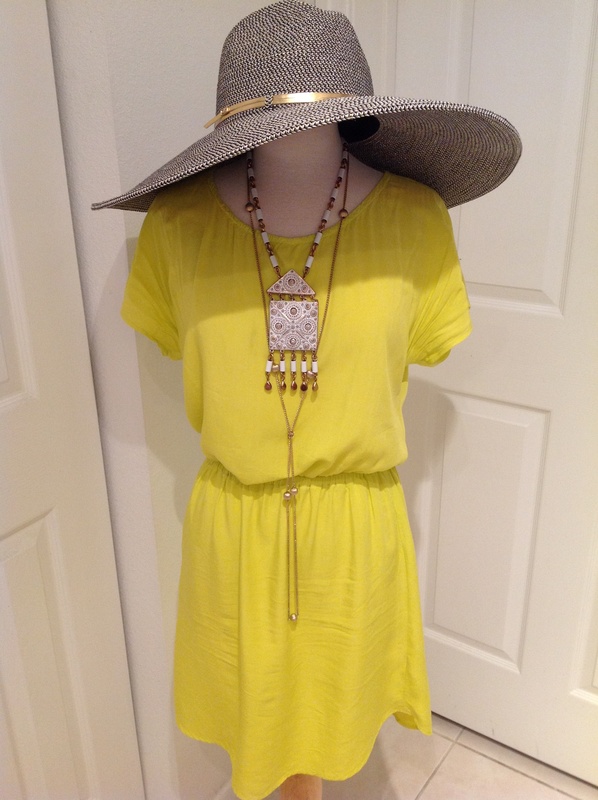 A floppy hat takes this look outdoors and even poolside. I added some tribal print flair with the pendant necklace. 4. 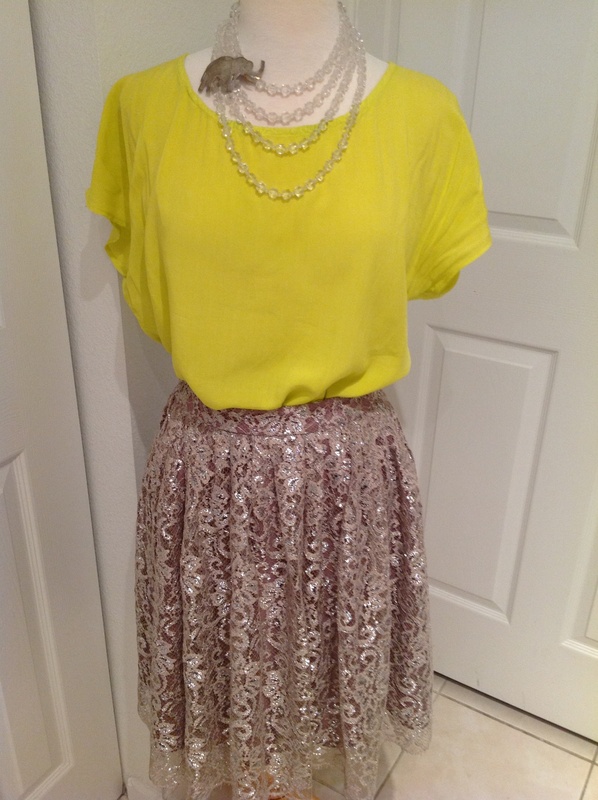 Leopard print looks wonderful with chartreuse and allows for black, brown, gold, and even tortoise shell accessories. 5. A sequined blazer, sweater or vest takes chartreuse from day time to sparkly time (my favorite time of day) without skipping a beat. 6. Silver and blush/soft rose pair well with yellow chartreuse and give it a "shabby chic" or romantic feel. I took a flouncy skirt and pulled it over the entire dress to conceal the bottom part and appear as if a "shirt" were tucked in. BONUS: I used one of the brooches featured hereto tie the necklace into the silver lace overlay of the skirt. Chartreuse is a beautiful way to be bold. As always, make this color your own & have fun doing so!